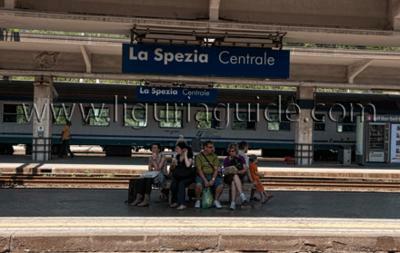 We are visiting the Cinque Terre in Sept. and want to know how long a train trip is it from La Spezia to Manarola. 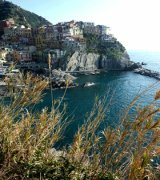 Note that if you will be doing some hiking in the Cinque Terre or hopping between the five villages by train , it might be more economical to buy at the train station a Cinque Terre Train card rather than just a train ticket to Manarola. The Cinque Terre Train Card gives you access both to the hiking trails as well as unlimited train travel from La Spezia and between the five villages for the day. What is a Cinque Terre Card ? Join in and write your own page! It's easy to do. How? Simply click here to return to Ask LiguriaGuide. By Irina Nikolova, Copyright © 2010-2013 LiguriaGuide.com. All rights reserved. Powered By Site Build It!